Five ships at Niteroi waiting to be scrapped. Including the bulk carriers MIMOSA K - IMO 7433517 and ESPIRITO SANTO - IMO 7433660. Thanks Edson - I see that photo details have now been updated to include the captured date. 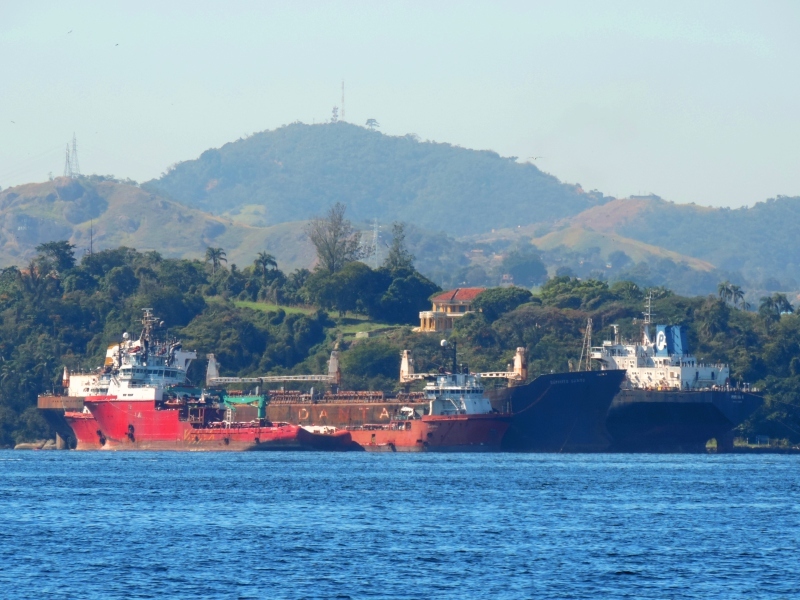 All three may still be laid up in Guanabara Bay as no reports of any of them being scrapped. The correct date of this picture is 7 AUG 2014. Edson, what is the date of the photo, please? As Joma says, the MIMOSA was scrapped in India in 2015. I think the picture is actually of a lay up berth and not a scrapyard? OK joma ... this photo isn't actual.